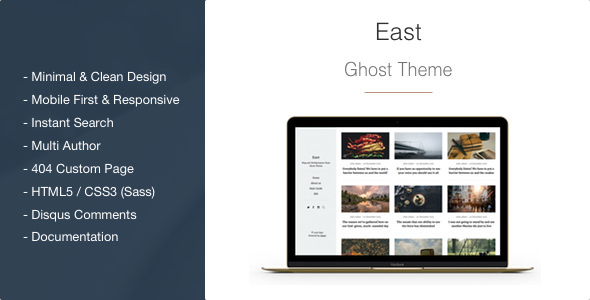 East is a clean, minimal, modern theme that focus on content for Ghost blogging platform. East is created for those who want to create a simple and beautiful online blog, or multipurpose clean website. East it is 100% responsive, that means it fits with all different kind of devices in different sizes.